It's Inspiration Wednesday with My Creative Time, and my card today was inspired by the recipient! 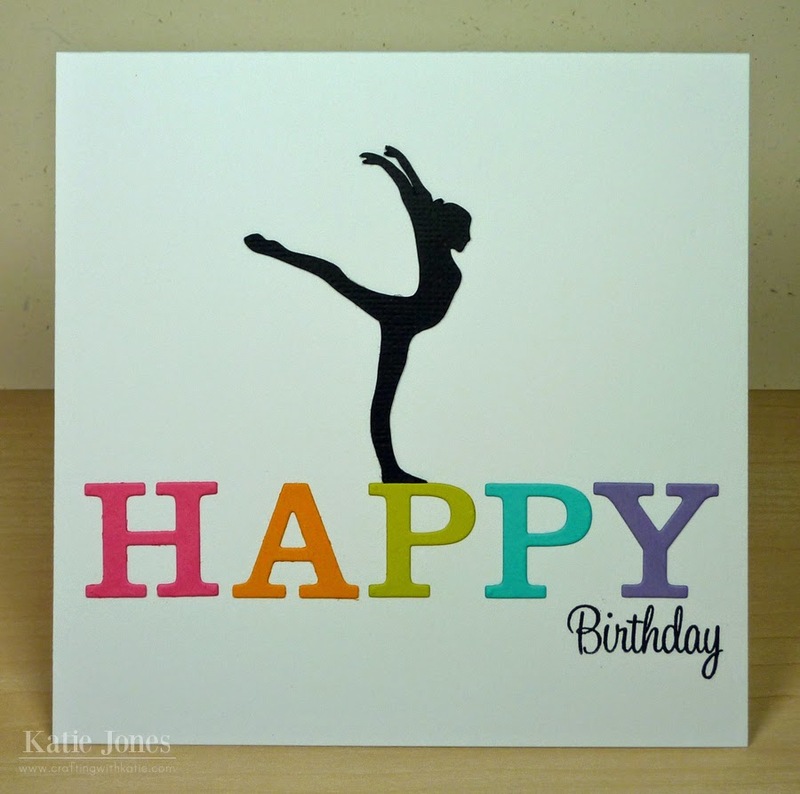 A little girl in my class celebrated her birthday last week, and since she does competitive gymnastics and spends all of her recesses practicing, I knew I had to use this Silhouette cut on her card. I trimmed off the balance beam that the gymnast was standing on, and instead put her on the "P" in "HAPPY," which I cut with the My Creative Time Uppercase Fun Dies. I stamped "Birthday" with a stamp from MCT's Celebrate Good Times. Quick and easy! Your student is going to LOVE this card! AWESOME job lady! OMG Miss Kate your Birthday card is Fab and Fun!! What an outstanding super creative idea....I am so going to do your exact idea on a LO as my granddaughter is in competitive TNT (Tumbling & Trampoline) so perfect for her Birthday LO. Girl you are just the best Teacher ever...you truly love your students and they will remember you forever and ever!! YOU so ROCK!! I LOVE your CAS cards...you are so creative...LOVE! Such a GREAT card Katie! Your student is going to LOVE it!!!!! AWESOME color combo too and LOVE that little girl silhouette! What an awesome special card...your student will love this! I love this card. My daughter was a competitive gymnast. She is now a competitive coach. Boy do I wish I had a Cameo. Katie ~ Oh I LOVE this card!!! The silhouette image with the color letters ~ oh my I bet she LOVED her card!!! So CAS and so PERFECT!! !